Last night I took smug satisfaction in what I fixed for dinner. I used bits of this and that to create a delicious meal. What joy! I come from a proud line of women who possess a remarkable ability to save every last scrap of food. Who knows how that last piece of broccoli will round out another meal? 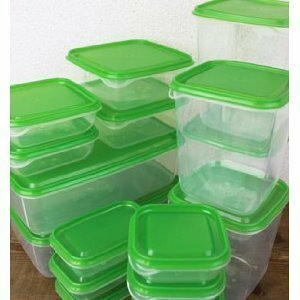 As a child, poking around in my Grandma Smith’s refrigerator, I saw containers of all shapes and sizes holding leftovers. Fortunately for my Grandma, my Grandpa ate whatever she put in front of him. My Mom’s refrigerator is also an assortment of containers. And like my Grandpa, my Dad eats whatever my Mom fixes. For us Smith women, we feel a sense of failure if we throw out uneaten food. So last night’s dinner came together quite well. I had some leftover turkey taco meat from earlier in the week. In the vegetable crisper, I had a section of an onion and a red pepper. I also had some egg whites leftover from a dessert. I decided to stir fry the onion and the red pepper in a little oil. Then I added the taco meat and egg whites to make a sort-of breakfast burrito. I topped my concoction with salsa and grated cheese. It was really good. Prev Do You Want a Friend?